Written with the approval of the Little House Trust, Caroline is a retelling of the beloved classic, The Little House on the Prairie. Told from Caroline’s perspective, this novel reimagines Little House’s characters and events. Miller chose to obey a historically accurate timeline, while Wilder’s books did not. The result of this is that Miller’s book feels a little jarring, or wrong, in comparison. Baby Carrie, for example, isn’t born until well after the Ingalls family arrives in Kansas, and Jack the Bulldog shows up late, too. The motivation for the family leaving their tiny prairie home changes, as well. These are small(ish) changes, but observing historical accuracy over faithfulness to the children’s book isn’t a choice I agree with. What Miller does really well in Caroline is retell the original story’s plot from Caroline’s perspective In The Little House on the Prairie, Caroline does not figure nearly as importantly as Laura or Pa; in Caroline she becomes the most important figure. The narrator shares Caroline’s deepest feelings and thoughts. While in Little House readers may hear only a sentence or two from Caroline, in Miller’s book we get entire chapters of rumination. Caroline, as a character, is a bit overwrought. Miller rightly portrays Caroline as a fraught, anxious young mother and wife, full of doubt and fear for her family’s future in Kansas. However Miller at times goes too far to make Caroline thoughtful, and the result is a character that is too measured, too carefully constructed. Caroline is almost never happy in Miller’s retelling, and this, I think, is too far astray from Little House on the Prairie’s depiction. Worse, Caroline’s unhappiness in Miller’s book at times feels only like a tool–a device to push Miller’s many motifs home in the reader’s mind. These motifs–mainly considering motherhood, the responsibility of mothers to their children, women’s roles in early American families, Native American relationships, and community dynamics–are good, and thought provoking, but too heavy-handed and forced. They either come together too neatly, or not at all, and I would have enjoyed a more middle ground approach to answering the questions Caroline’s character asks. Overall, though, I deeply enjoyed getting Caroline’s perspective on Little House on the Prairie’s events. Re-reading these scenes through Caroline’s eyes provided deeper insight into not only the Ingalls family, but peripheral characters, too. THe Ingalls’ neighbors, Edwards and Mr. and Mrs. Scott, become far more interesting through Caroline’s eyes, and these deeper characterizations lead to considerations of settler communities and relationships. Some of the most poignant scenes are of Caroline’s interactions with her children and husband–the narrator gives such deep insight into Caroline’s thoughts here that the family seems so much more vivid and real to me. Two scenes, though, left me just as bewildered as in the the original story. In Little House, the moment when Laura breaks down as the Osage tribe passes by the Ingalls homestead baffled me–why did Laura feel such a connection to the Osage baby? Why did she cry for it and want to possess it? What moved her about this procession? Caroline goes no further to bring clarity to this scene. One last complaint is a weird sexual motif Miller repeatedly employs. The first time it appears, Charles is depicted as craving Kansas with similar lusty cravings for his wife’s body. The exact quote is “He did not know how else to show his burgeoning love for Kansas, and so he wanted to do with her what he could not do with the land.” It’s a weird image, and one that is repeated a few more times across the entire novel. In addition to being just plain strange, this image is problematic in terms of how Charles views his wife. Is she a territory to be claimed? Conquered? Caroline’s character in this book is not so wild and unruly that she needs to be “staked out” in the same way the Kansas territory was, Is she supposed to be representative of the same freedom Charles thinks he’ll achieve in Kansas? If so what does it mean that these dreams are dashed at the novel’s end? This is one motif in Caroline I could not accept or fully understand, and I wish it had been handled better. Overall, though, Caroline is an enjoyable read, and fans of the Little House series will enjoy it. This would be a great book club selection to dive deeper into all the themes Miller’s approach to Caroline offers. 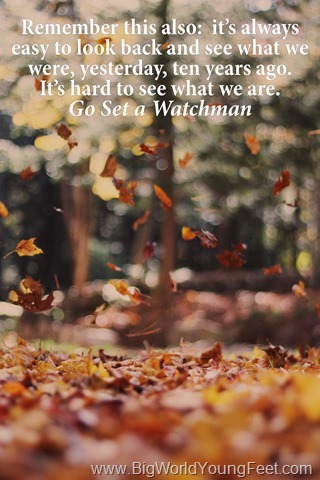 Like every other English major on the planet, I couldn’t wait to get my hands on Go Set a Watchman. Unlike every other English major, I didn’t hate it. I actually enjoyed reading it, even. Several passages drew an intense emotional response from me (Sorry, Chick-fil-a lady, who was just trying to give me a mint, it was a tense moment for me). I adored Harper Lee’s writing; her sense of place and ability to write about the thing we call home has no equal. I enjoyed meeting some new characters and seeing how Jean Louise has grown up. It tugged at my heartstrings to see some familiar characters, too, and to see how their stories have developed. It’s a gift to see Scout growing up into Jean Louise. In so many ways, Jean Louise is still Scout—perceptive, full of life, and totally unable to see things any way but her own. So of course we love her, rough edges and all. Back in Maycomb for a visit from New York, Jean Louise finds herself not at home anymore—both literally, because her childhood home is now an ice cream parlor, and emotionally, spiritually, because so much about her town and the people in it seem to have changed. 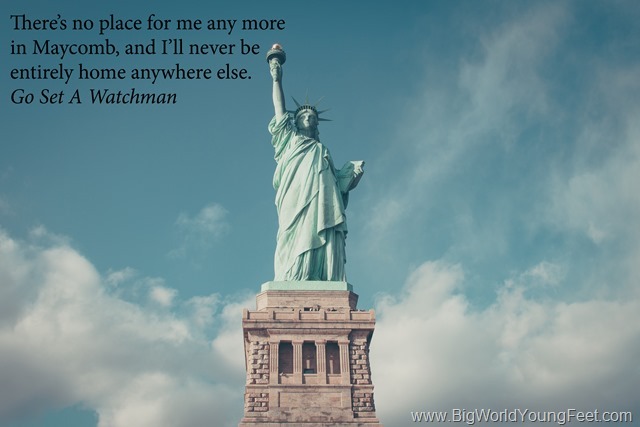 She feels out of place in all of Maycomb, so much so that she questions how much she’s changed since being in New York. And then there’s that moment when she sees Atticus fail, for the first time ever in her eyes. There are several chapters in which Jean Louise wanders around Maycomb, tortured and amazed at what her town has become, what her people have become. It’s in these chapters that we really get to know Uncle Jack, who is my favorite character in this book. Obscure and intellectual, Uncle Jack is this other figure Jean Louise can turn to when she can’t stand to look at her father. I love how weird he is, and how he helps guide Jean Louise through this crisis of identity and place. 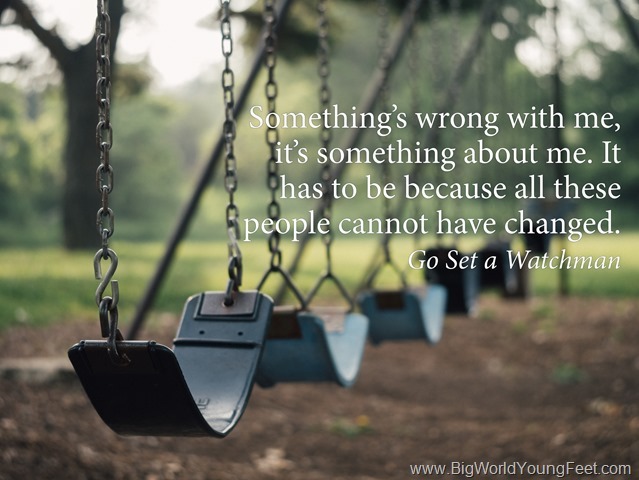 But despite all this, I still think there are valuable things to be taken from Go Set a Watchman. Everyone has a point in their lives where they see their parents’ imperfections and are finally able to recognize them as such, and this book has a lot to say about how we react to that moment. I was glad that Lee gave both Henry and Atticus the space to explain their side of things. Their reasons for their racism are so telling about race relations in the 1950s, and how white Americans understood their place and power in society. I think perhaps the explanations Henry and Atticus give would not be all that different from the explanations white people would give today if confronted with their racism. At the end of the book, Uncle Jack explains to Jean Louise how she can manage to live in a world where she and her father disagree on something so fundamental as civil rights, and his lesson is completely applicable to our lives today. “It’s always easy to look back and see what we were, yesterday, ten years ago,” he says, “It’s hard to see what we are.” And he’s right—as a person, as a country, it is very hard to see what we are. It’s hard to stop that gut reaction to the idea that you disagree with so completely. But that’s the very thing we must do if we are to ever grow out of our pasts and into something better. 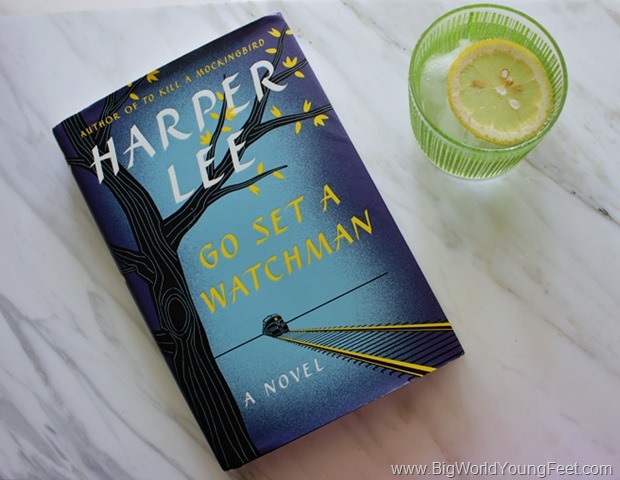 Did you read Go Set a Watchman? Or did the reviews scare you away? What are your thoughts on it?